On Monday, men aged 37 and 41 were injured in separate shark attacks at Gracetown, about 15 kilometers (nine miles) away. The 37-year-old man was bitten on the legs and flown to Royal Perth Hospital to undergo surgery. A four-meter shark was later spotted nearby. 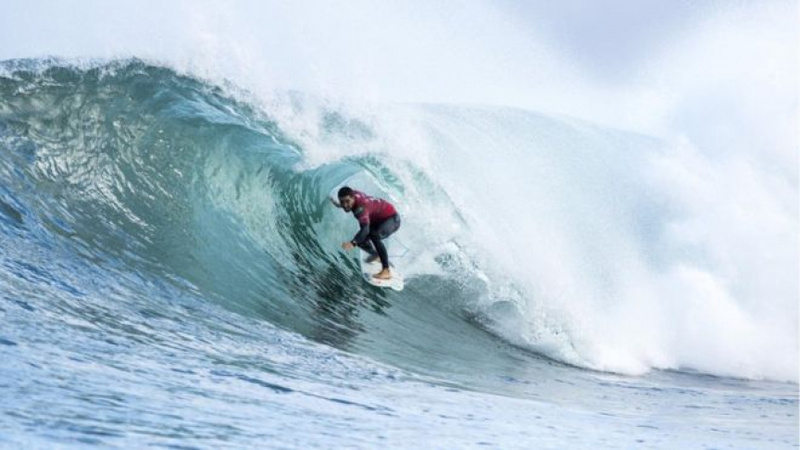 World Surf League chief executive Sophie Goldschmidt says organizers put the highest premium on safety and "If we decided to continue the event under the current circumstances and something terrible were to take place, we would never forgive ourselves." "Surfing is a sport that carries various forms of risk, and is unique in that wild animals inhabit our performance environment. Sharks are an occasional reality of WSL competitions." Goldschmidt said the presence of beached whales in the area had attracted sharks "and contributed to the aggression of their behavior, which, experts agree, has increased the possibility of further attacks." The women's event was up to the quarterfinals stage, and the men were about to enter the third round.